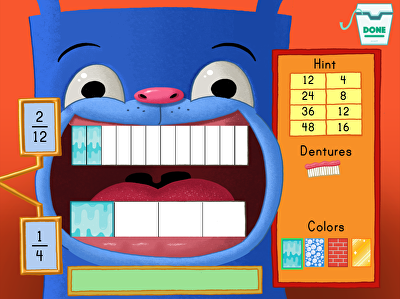 Subtracting fractions may seem intimidating, but these exciting fraction games will have kids laughing their way to learning in no time. 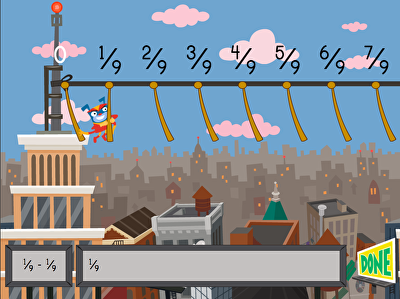 By helping fit a blue dog for a new set of chompers and sending him swinging across rooftops in the city, your child will practice using both a number line and a tape diagram model to subtract fractions with similar and different denominators. 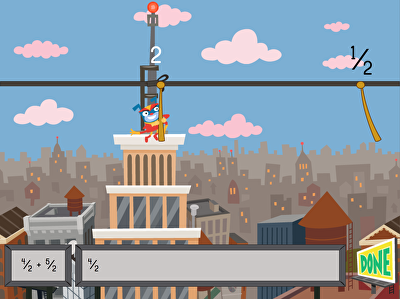 Kids help Superhero Floyd jump to different buildings by subtracting fractions on a number line.